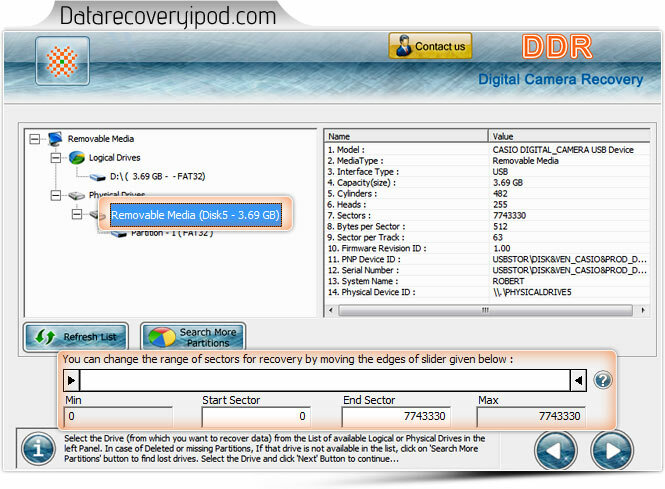 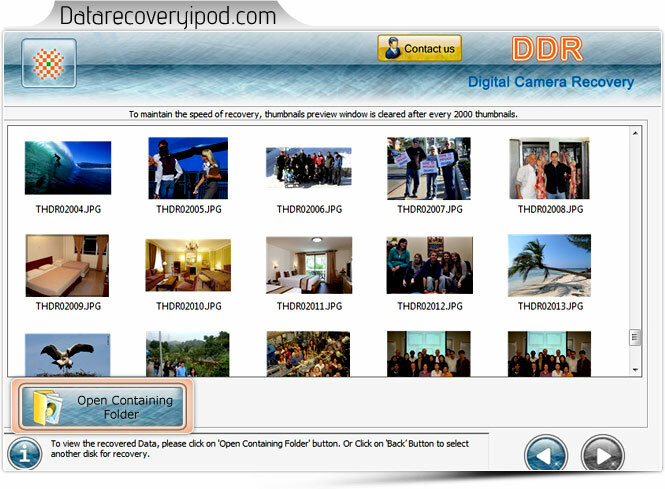 Select removable media (digital camera) from left panel and you can also search data within specific sector range by moving the edges of slider. 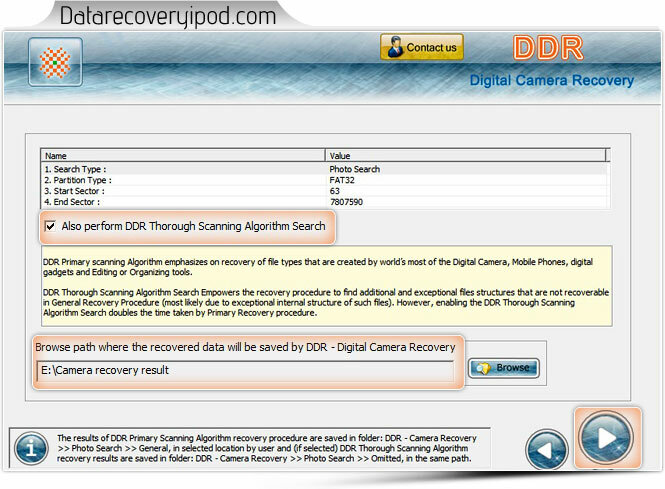 Check “Also Perform DDR Thorough Scanning Algorithm Search” and browse button to select location where you want to save data after recovery. 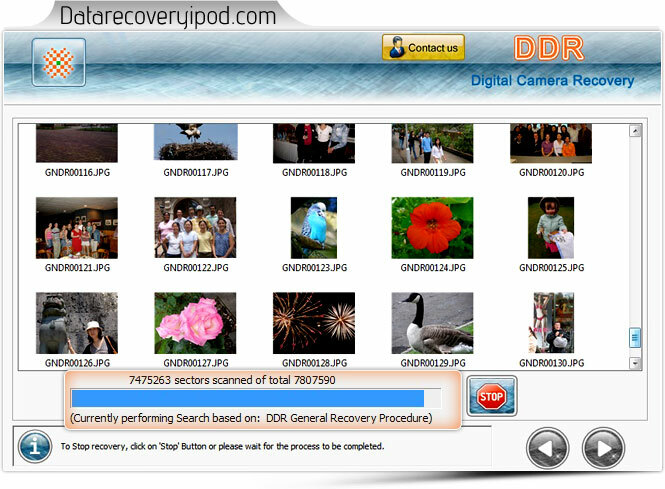 Currently performing disk scanning using DDR General Recovery Procedure.